Your goal is to help our little hero, Roy, fly away from the ascending lava to the surface and away from the evil that inhabit the volcano. The trip will not be an easy one, multiple angry enemies will try to stop him through his journey. 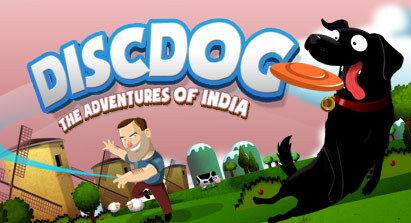 Flap those palm tree leaves and get into the action packed new game from Fleet Studio. 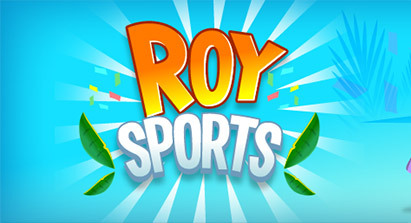 Try the Roy Invaders retro arcade! 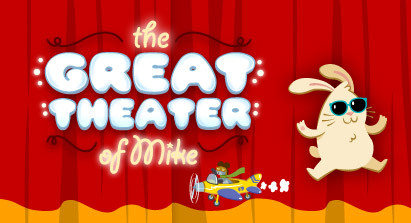 The Great Theater of Mike features songs in English and Spanish. A small theatre for our kids to enjoy traditional songs where he can interactivelly change their lyrics...every time he plays will be a different song! Change the songs on the fly! Walking your dog in the park can sometimes be tedious...except when both of you can play together Canine Disc! 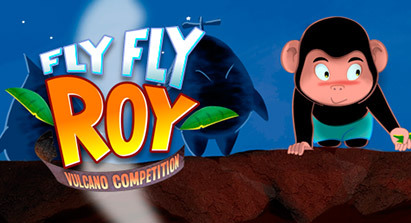 A new adventure from our charismatic little monkey, Roy. Last time we saw him he had his hands full flapping palm tree leaves to escape Namanka´s vulcano. It seems that thrills never end and now he´s landed in the first inter - island competition. A lot of challenges await Roy. © 2012 Fleet Studio. All Rights Reserved.